More than two dozen looking to return to a normal life after time behind bars got encouragement from the same police organizations that put them there along with the Oakland Raiders organization. 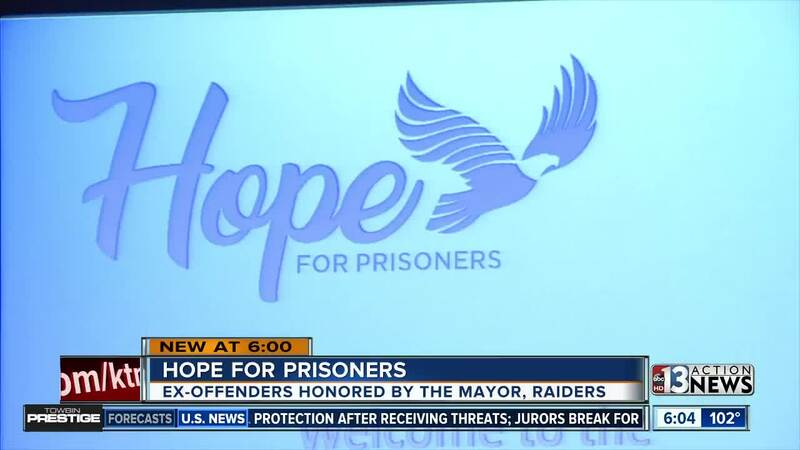 Raiders President Marc Badain was among the featured speakers at Friday's Hope for Prisoners graduation ceremony. Badain was joined by Las Vegas Mayor Carolyn Goodman and Las Vegas Metropolitan Police Department Undersheriff Kevin McMahill. The program aims to keep the participants from returning to prison or jail by providing job training and mentoring. Badain telling the graduates after hearing stories of the Hope for Prisoners model, he couldn't help but compare it to the philosophy held by longtime Raiders owner Al Davis. "He would have loved this program. He was a big believer in second chances for our players, coaches, staff. Historically it is something he instilled in the organization and we will follow today," Badain said. Some previous graduates of the program are even working on the crews building the Raiders Las Vegas Stadium.